Since the rise of HTML5 we have seen many innovations in web and game development. HTML5 offers great possibilities while being accessible on multiple platforms. 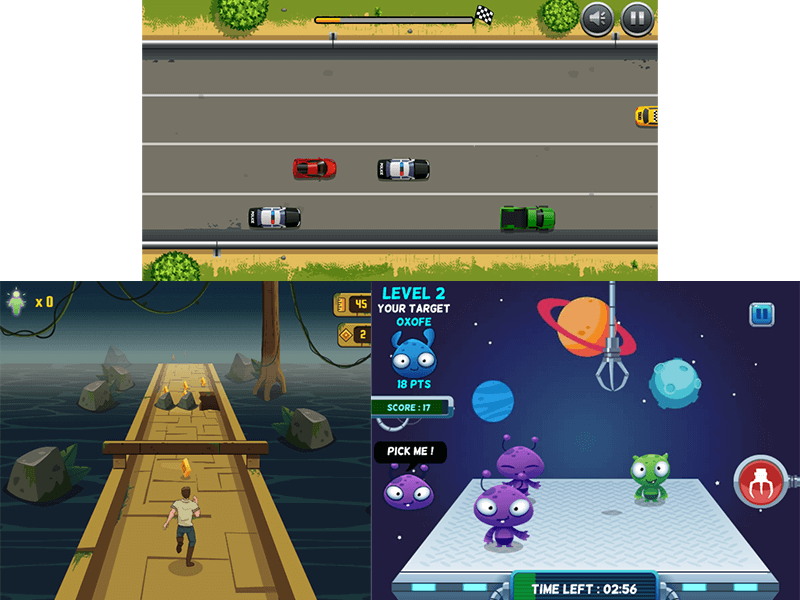 For the very reason of being fun and entertaining, HTML5 games can be excellent marketing or promotional tools. Whether you would like to dig deeper into HTML5 games and their potential or need an idea to get you going, check out our pick for top HTML5 game genres for marketing in 2018. Puzzle games involve delicate manipulation of puzzle pieces. They can be constructed in many forms such as matching missing items, making a set of threes, finding a certain piece and more. 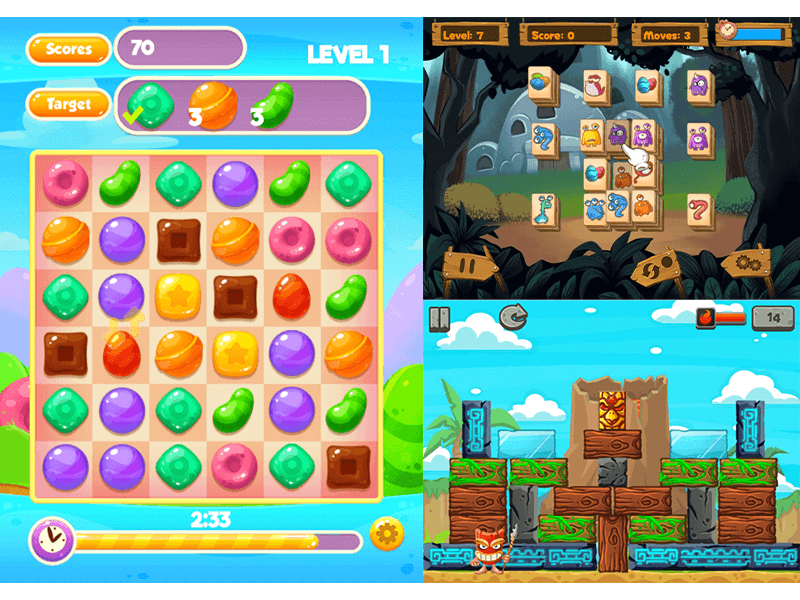 Games like Candy Jam, Totem Volcano or Monster Mahjong are good examples that are suitable for branding or marketing. The sweets in Candy Jam can be replaced with real-life sweets or candy, similarly the blocks in Totem Volcano can be remade to appear as beverage bottles/cans or as real construction material for example. The tiles in Monster Mahjong can be reskinned to feature popular characters from a TV show or company logos. As you will see from more examples below, the possibilities are practically endless. One great example of a game used for promotion purposes is Toyota Park Puzzle that was made for a Toyota car dealership event in North America. In this case the final game was a reskin of Unblock it. Arcade games are highly popular due to their simple yet challenging gameplay. They are perfect for presenting something quick, fun, and engaging. Games like Stack The Burger are perfect for branding or reskinning suitable for the food and beverage industry. Something like Ultimate Pong can be reskinned to feature your brand or company while being used as a platform to hold a contest with giveaways, prizes, etc. Then you also have something like Funky Plane which can be tailored to any airline out there and provide entertainment as well as promotion. Action games are usually fast paced and thrilling. They require good reaction times and hand-eye coordination. In this genre we have various sub-categories including shooters, fighting, and platformer games among others. Something along the lines of Confident Driver is great for the automotive industry while games like Claw Crane are excellent for featuring products for kids, cartoons and the like. Escape from Aztec can be reskinned to feature a supermarket brand with the background being various aisles in the store. The player could be dodging shopping carts or slippery areas on the floor instead of beams or holes. A rugby game designed for Tissot, a global luxury watch brand, is a great example of a bespoke game made for promotion or marketing purposes. 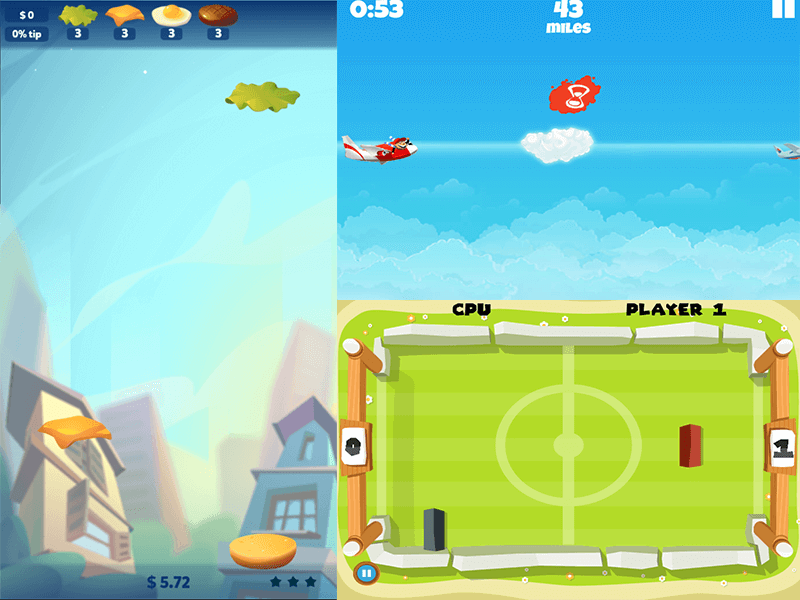 It was made by reskinning some of the assets from an existing game called Touchdown Pro. Sport games typically involve some physical activity or sport props and are one of the more common type of games which you can find. Players often get the chance to participate in these either as a player, coach or manager. Something like Slam Dunk Forever can be used for general promotion or as a bespoke game featuring prizes for the lucky players. 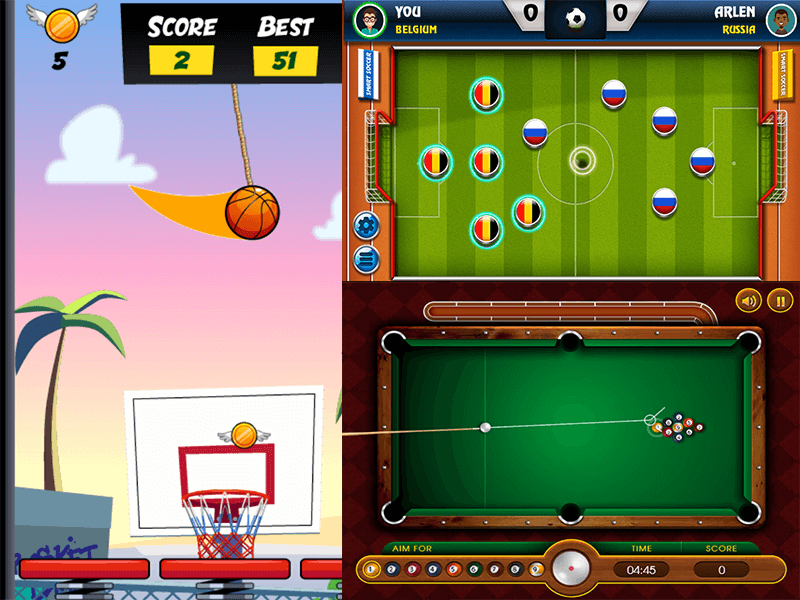 Games like Smart Soccer and 9 Ball Pool can be used to expose users to your brand by featuring your logo or brand on the playing field or reskinning the images to your liking. Another plus is that these generally also have an innate appeal since people tend to like sports. 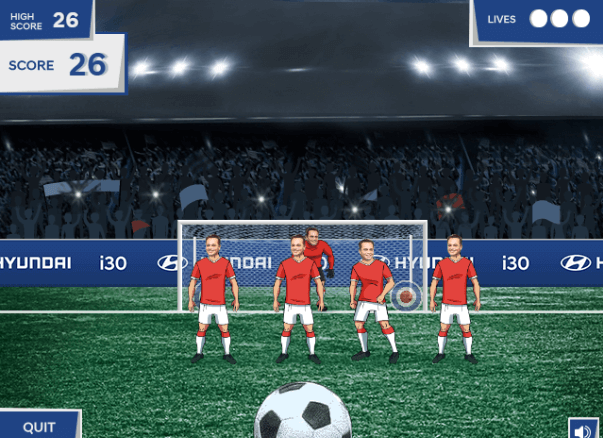 Beat Bozza, another successful example of a branded game that was made in collaboration with Hyundai and FOX Sports Australia. It featured Mark Bosnich, a famous TV sports commentator on FOX Sports. The players also had a chance to win a brand new Hyundai i30, a new car Hyundai was promoting at the time. That’s it. If you are wondering why aren’t there more genres here, it’s because most of HTML5 games can be sorted in these or similar genres (for instance, Action incorporates shooters, fighting, platformers, etc.) so everything said here can still apply. If you would like to check out more games or are in need of reskinning, development or other services when it comes to HTML5 games, check out or contact MarketJS, a great place for all of your HTML5 gaming needs.